You’re never fully dressed without a smile is how the saying goes and morning ritual number five from my book, 21 Rituals to Change Your Life (Watkins) completely agrees. 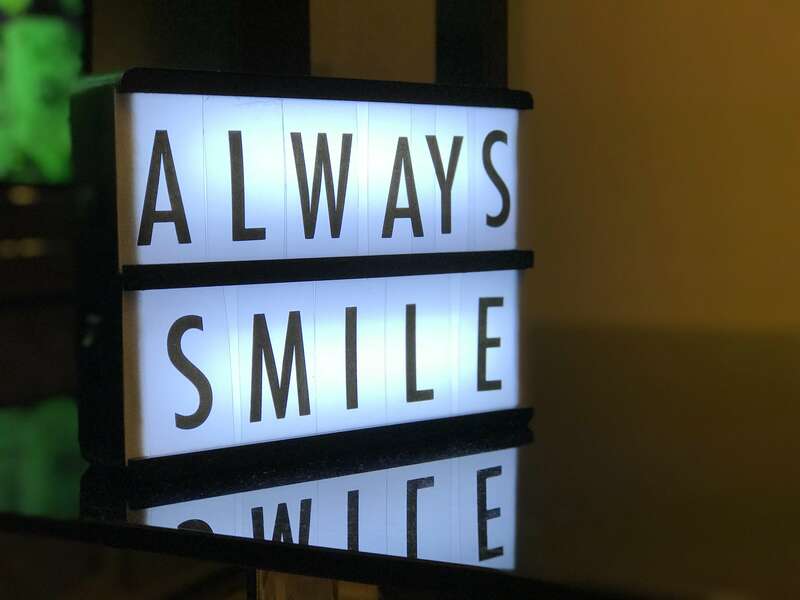 We often think of a smile as a natural response to feel good emotions but did you know that smiling – even if that smile is fake – can boost your mood and reduce stress? Research done by psychology and facial coding expert Paul Ekman and backed up by recent research published in Psychological Science found that a big smile that involves facial muscle activity around the eyes can produce a change in brain activity and mood.